I had almost given up on the remaining North East Dishes. I stopped cooking for the states when we started in April and I had about six states left. For over two weeks, I kept saying I still have six more to do and finally Konda asked how long will I keep repeating myself! Well that's how much it took me to understand and realize I hardly have time to procrastinate any more. This weekend, I finally managed to make all six and the feeling was such a relief! I can't express in mere words the feeling I had when I finally clicked the pictures. Writing about it was altogether different story. I read so much about these states, read and reread again. However nothing came up. At the last moment, I came across this video, that talked about Pukhlein, a breakfast bread from Meghalaya. I looked no further. The fact that it looks either like our Athirasam or Neyyappam, as a different story. I suddenly remember reading about it and wanting to make it. Of course we read so much that nothing stayed for long. I know you think this is not a bread, however check out the video where the person says this is a breakfast bread that's sold in Meghalaya. So I have not deviated, even though this tastes much like our sweets. 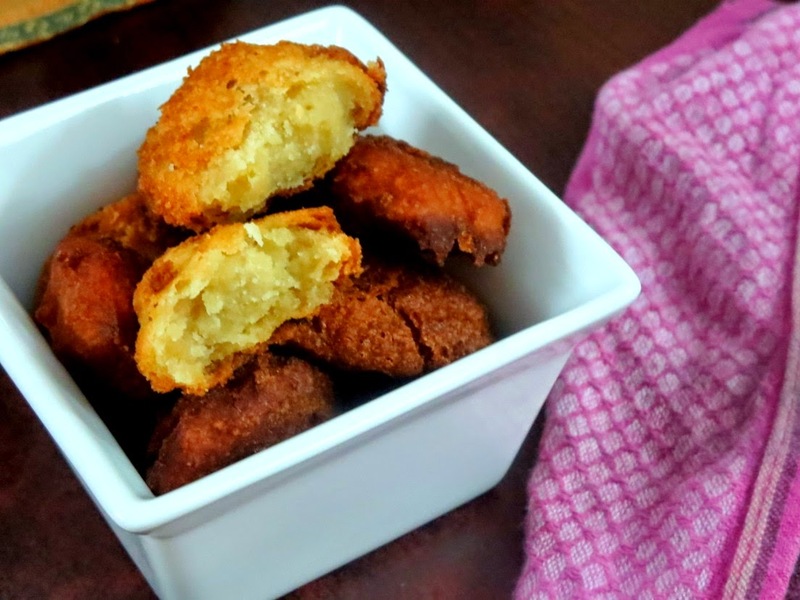 The Meghalaya cuisine can be divided into three distinctive styles: Garo, Khasi and Jaintia. Out of the three styles, I thought the Khasi had some recupes I could do, of course that was more clear only after I saw the video and how it resembles what I think it does. The Khasi recipes include a variety of rice preparations, such as 'Jadoh' (red hill rice prepared with pork), 'Jastem' (rice prepared with gravy of pork, ginger, onions and turmeric), etc. Mylliem chicken - It is prepared with the help of different condiments, especially the small round Khasi peppers and chicken. Dohkhlieh - Dohkhlieh is a special kind of pork salad, made from boiled pork, onions and chillies. Dohneiiong - This dish has gravy. In this preparation, pork is cooked with black sesame seeds. Tungrymbai - It is prepared with fermented soyabeans. 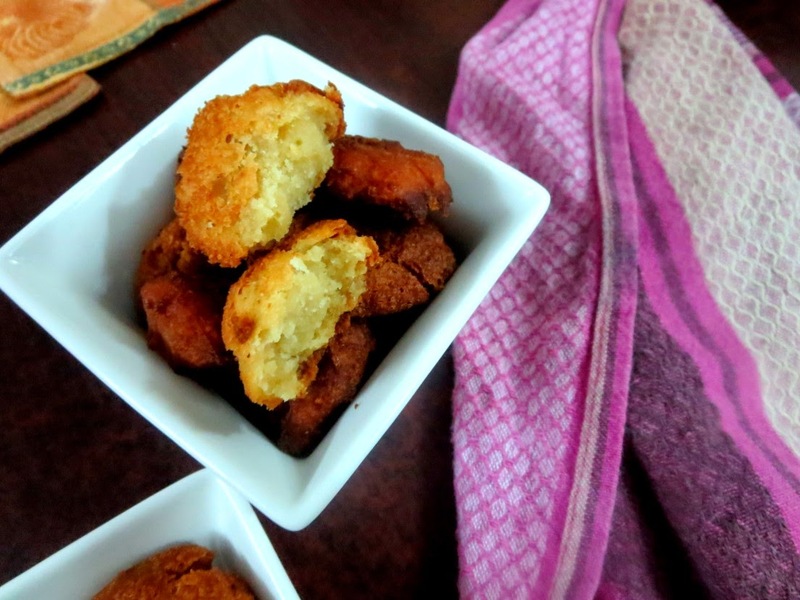 Pumaloi - Pumaloi is a typical Khasi recipe prepared with powdered rice. Pukhlein - This dish is prepared with the help of powdered rice and jaggery. Pudoh - This item is prepared from powdered rice, with stuffed pork and then it is steamed. Putharao - Putharao is made with steamed powdered rice. All the above details are from different sites I happened to read. So it was clear I could only make Pukhlein. Check this article and you will know what I mean. I ended up reading and enjoying the scenic Shillong and how it is referred as the Mecca of authentic Chinese food. Kyat, the local brew made from rice, adds zing to all the local celebrations. Anyway though I could have done what looked like a regular Rice pancake as seen in this picture, I was keen on the Pukhlein as I said. From the video and this article, shows the Pukhlein nestled within cane baskets wrapped in banana-leaf packets. 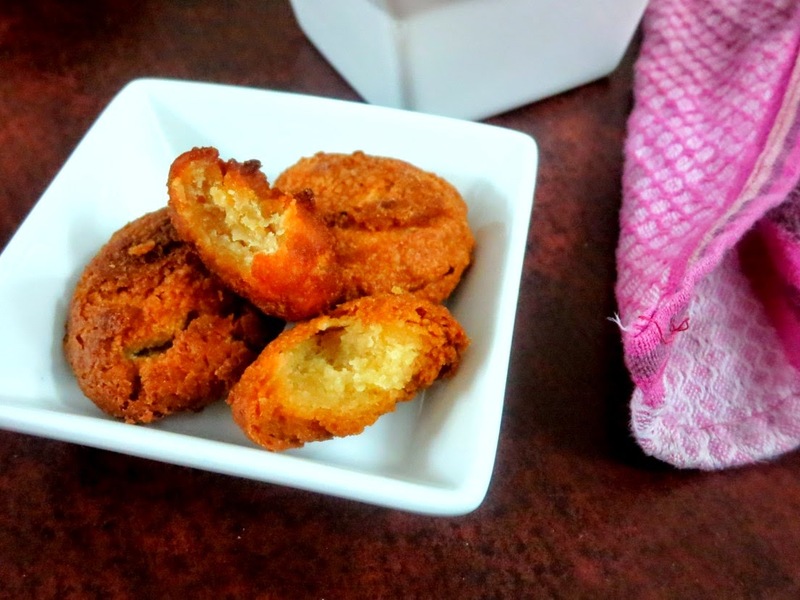 These honey-brown cake of ground rice, mixed with jaggery and deep-fried in lard. Best eaten warm, when the slightly tough exterior gives way to a sweet crumbly middle. Well it sounded very much like how we make and I ventured to make just that. To get more courage, I called in Amma to help me. 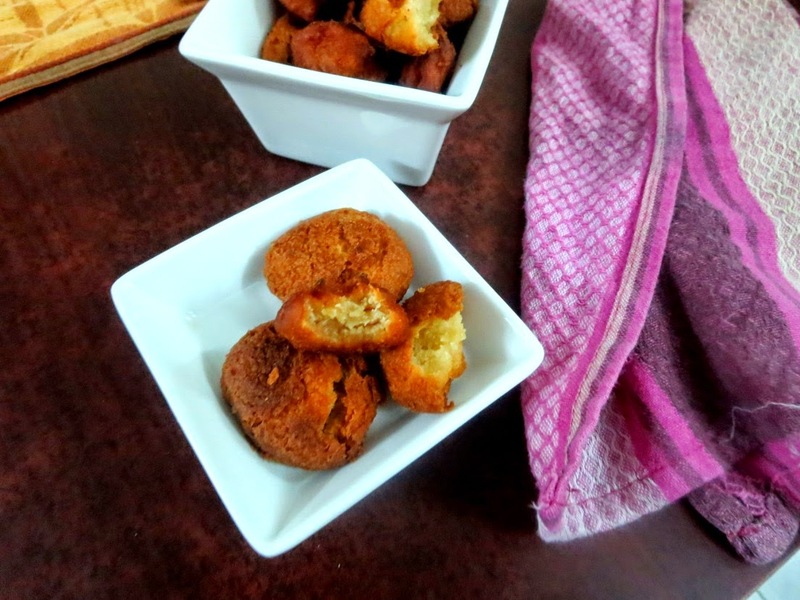 She had recently made Neyyappam in the same texture as seen in the video. I showed her and we ventured into the kitchen. Imagine, my small kitchen was filled up with all. Konda was clicking pictures, Amma, Athamma and I were busy trying to understand how exactly we might end up getting the same texture. We did it two times. First time, we did the jaggary syrup and went to 1 thread. When we started adding the rice flour, it got caked up. Only then Amma said, we should have used homemade rice flour. We kept it aside and proceeded again. This time we just about cooked the jaggary and started mixing it. This time it wouldn't hold up. 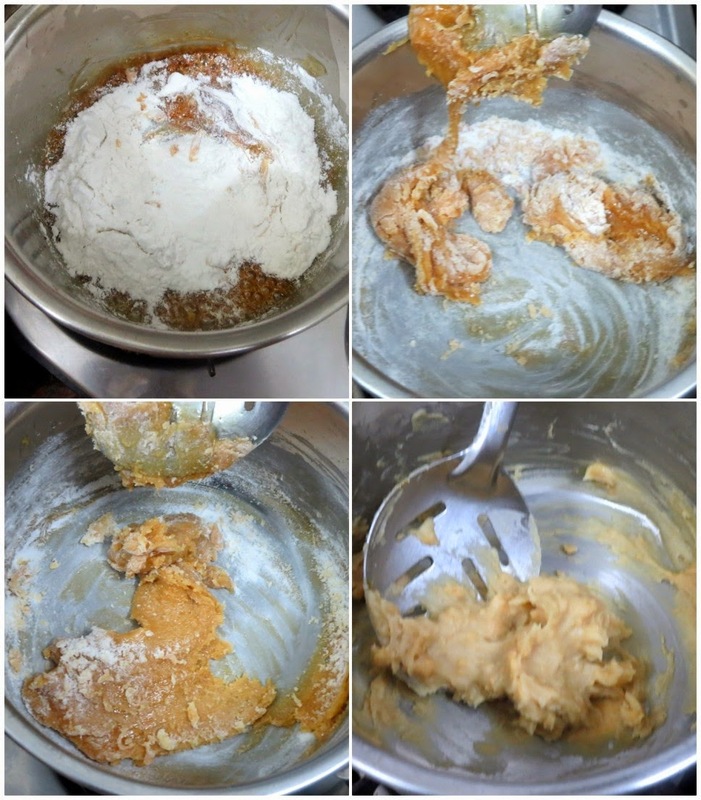 We added the rice flour very carefully and finally were able to get a batter that held its shape. We tried with both the batches, I personally felt the one with syrup was much better. Though in the end boys simply loved it and I had a risk of it getting disappeared very quickly. I had to quickly click pictures before I can afford for these to disappear. Some of the links that I also read and might interest you are this, this and this! 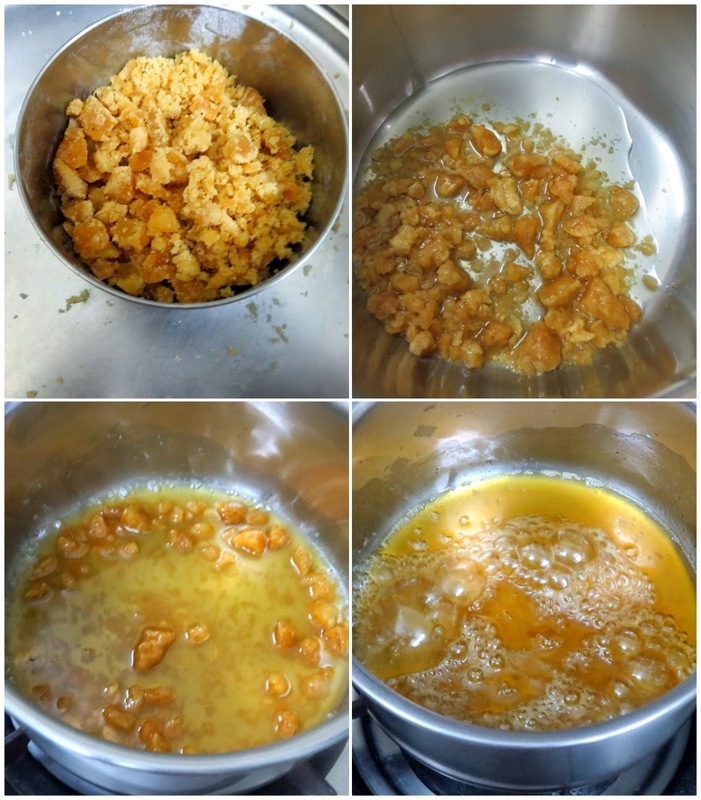 Dissolve the jaggery in water, strain this water. Cook this to a thick syrup. 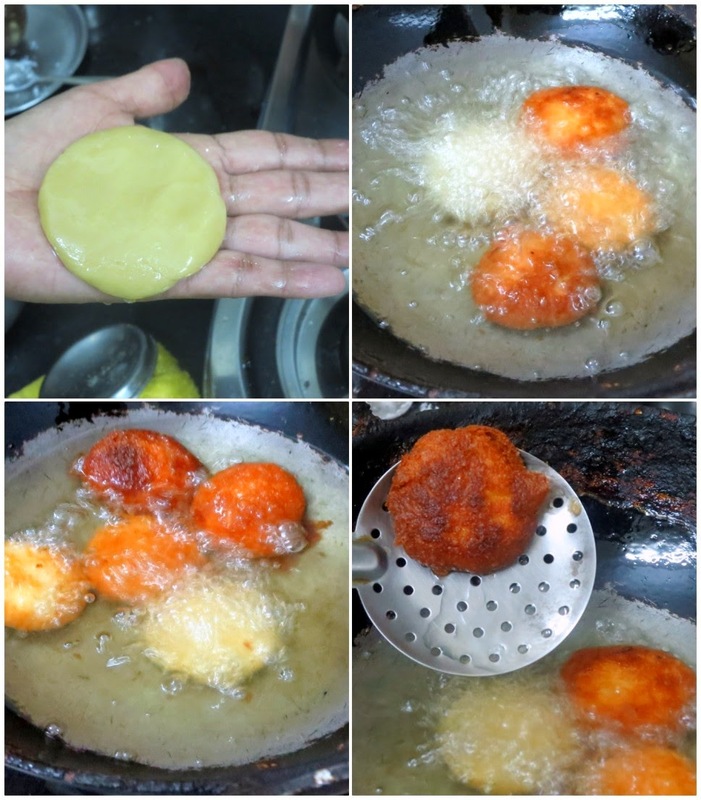 Slowly add the rice flour and make a thick batter. Heat a kadai with oil, make balls and pat them flat. Deep fry on both sides. 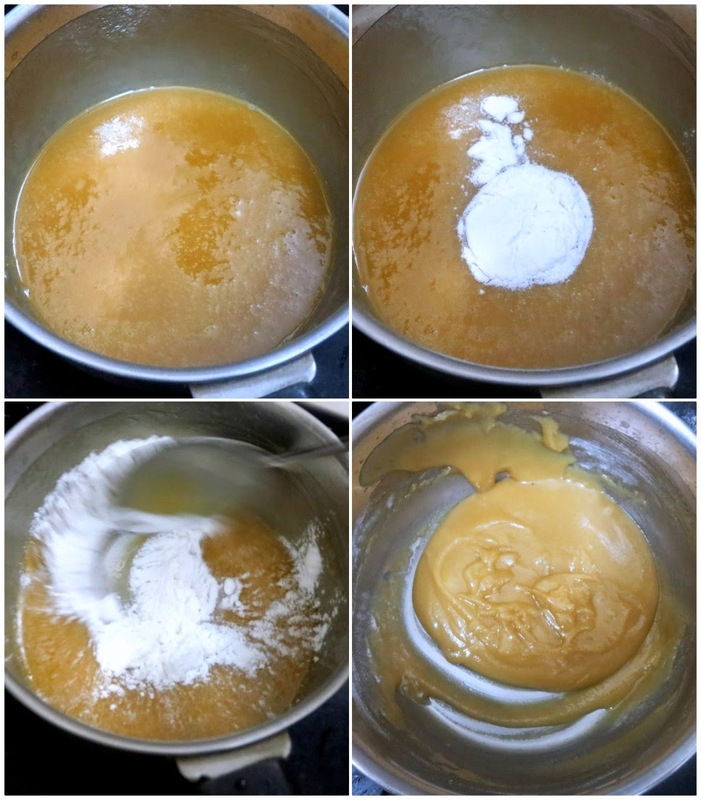 You can use homemade rice flour for better result. If you want to use store bought flour, lightly roast it.